It’s not about a 3-day weekend. Photo by the U.S. Army. This weekend Americans take time away from work and school to BBQ, head to the lake, or just hang out with friends and family at home. 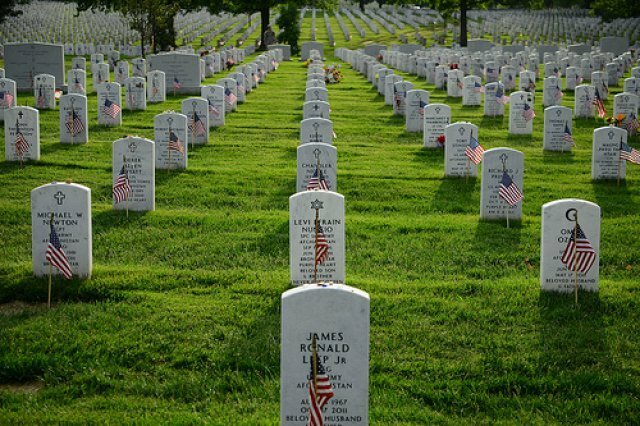 But this weekend isn’t about a vacation from work, it is a very important celebration of those who have given the ultimate sacrifice to keep the United States of America the land of the free (because of the brave). As recipient’s of the hard-won rights we hold so dear, but often take for granted, we owe it to ourselves and our children to take time to remember just how much freedom costs. In a day of trillion-dollar deficits, and the constant stream of live information from the internet, it can be easy to forget that young men and women are deployed overseas fighting back organized terrorists organizations whose goal is to erase freedom worldwide. 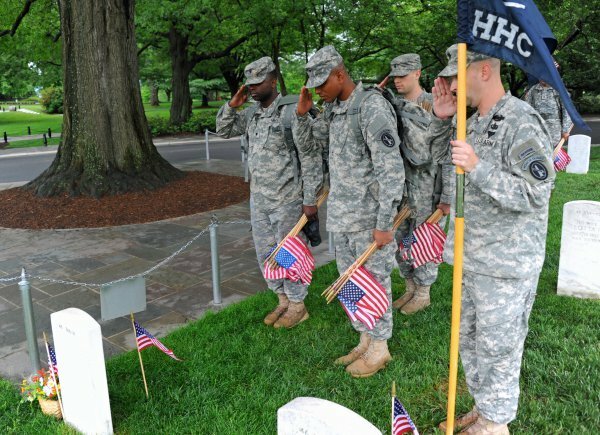 US Army soldiers placing flags at Arlington Cemetery. Photo by U.S. Military. Memorial Day was first observed in its more formal presentation as “Decoration Day” in 1868. U.S. Army General John A. Logan, serving as the commander-in-chief of the Grand Army of the Republic, a Union soldiers veteran organization, issued a proclamation that a day of remembrance and decoration of military graves should be observed annually and nationwide. The first Decoration Day was set for May 30th, the date being chosen because it did not fall on any Civil War battle date. Though the decorating of graves, particularly of soldiers killed during conflict, had been performed many years before 1868, this was the first national proclamation. The American Civil War had only concluded 3 years prior, and America still suffered the deep wounds of over 600,000 dead soldiers and countless others wounded. Though the Southern States were formally returned to the Union, the devastating damage of war, and the evils of greedy carpet-baggers during the Reconstruction, only deepened the wedge of separation between North and South that would take well over 100 years to reverse. Both Union and Confederate cemeteries had been decorated in memorial dating to the early days of the Civil War, and each side celebrated a day of memorial for their dead. Decoration Day transitioned into Memorial Day in 1882, but the days of remembrance remained separated for many more years. At times, as the Civil War faded into history, Memorial Day was not as memorialized. However, after World War II, when over 400,000 Americans gave their lives to destroy some of the worst dictatorships in human history, the importance of Memorial Day was revived and celebrated with much more vigor. This important process of memory, healing, and reflection on blessings was finally formalized into the Memorial Day of today by Federal law in 1967. Then in 1968 Congress passed the Uniform Monday Holiday Act, setting the official Memorial Day holiday as the last Monday in May. This holiday has un-officially been viewed as the start of the summer vacation, though summer does not officially start until June 21st. This weekend I am particularly grateful for my freedoms. 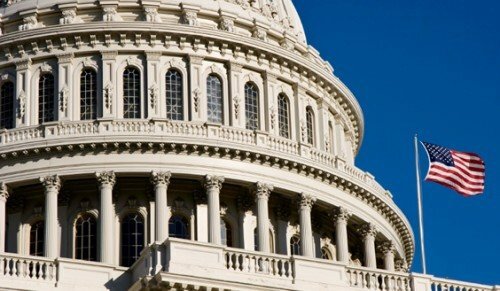 Though the amount of laws being passed each year tends to chip away at the liberty experienced by our fore fathers, Americans still experience some of the greatest freedoms in the world. The ability to address grievances with the government, a government of elected citizens, and the right to own and bear firearms are not known to the majority of earth’s inhabitants. Being treated as “innocent until proven guilty” is just as important, as are the protections against an over-zealous government. These protections, framed in our Constitution, were devised by brave men who laid all they had at the altar of freedom. In the early years of the War for Independence our plight as a nation was bleak. However, through Divine Providence the small and ragtag American forces were able to defeat the mighty British army and declare this land for what it had been intended as when the first Pilgrims left Europe – a place of freedom and liberty. From the brave Minutemen who fought at Concord and Lexington, to the soldiers who braved the freezing Valley Forge, to the soldiers who permanently established this nation during the War of 1812, to the darkest moments of a nation at war with itself, we must remember the fallen who have kept us free. 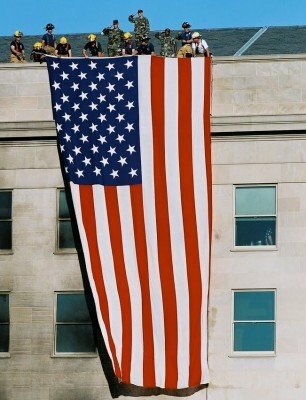 During two World Wars, and wars in Korea and Vietnam against the expansion of communism, to the present global war on terrorism, America remains free because of the bravest and strongest military in the world. Americans demand self-governance, and have long rejected a national police force (photo from house.gov). A few years back my aunt conducted a serious genealogy research project and learned our family had at least 13 members who fought for America during the War for Independence. One of these fore fathers was an officer and apparent close companion of none other than General George Washington. He had conducted surveying missions with George before the war, and was awarded land grants in Kentucky after the war for his service. This land would ultimately become Louisville, Kentucky (the location of this year’s annual NTOA Conference). The Civil War was fought on both sides by my family, and when World War II ripped the world apart every single grandfather and great-uncle served in uniform. I have Korean War veterans, and Vietnam veterans. My brother served in the 7th Calvary as a Kiowa scout helicopter mechanic and achieved the rank of Sergeant in 4 years. I have cousins who have served during the Global War on Terrorism. Before attending college I began the process to attend the Air Force Academy, but had to withdraw due to requiring jaw surgery. Not serving in the military is still one of my deepest regrets. Here at BlueSheepDog we recognize our military veterans, and are proud to remember those who died to keep us free. Though different in calling, those who carry the badge are just as important in keeping our country free. Even in the nation of liberty, there are necessary laws to maintain order. Like the military, where a few serve the many, our law enforcement brothers and sisters are the thin blue line between chaos and civilization. Without law enforcement officers even our great country would quickly fall into a barbaric state of survival of the fittest. Our laws give the weakest among us the same rights and privileges as the strongest. To protect those rights, and keep the predatory criminals at bay, men and women don civilian uniforms every day and put their lives on the line. Tragically, about every 3 days, we lose one of those brave officers in the line of duty. So BlueSheepDog would also like to take time to remember the fallen law enforcement officers who have given the ultimate sacrifice for their communities and country. This is in no way meant to take away from the importance of our military Memorial Day, but I think there was more than just chance that the National Peace Officers Memorial Day is also in May. In fact, the law enforcement memorial day was finalized in 1962 to President John F. Kennedy, 5 years before the military day. Enjoy your weekend, but remember why you’re enjoying this time off!